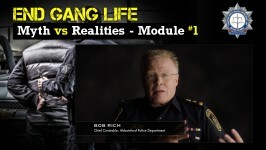 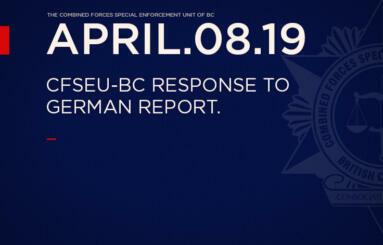 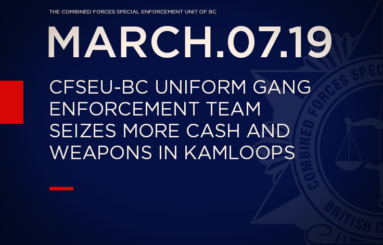 The Combined Forces Special Enforcement Unit – British Columbia is the province’s anti-gang agency. 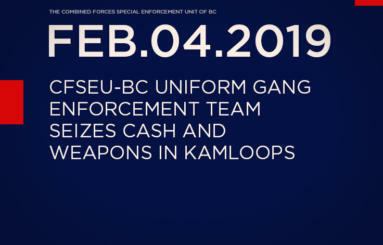 It is an integrated joint forces operation that develops and draws highly-specialized officers from federal, provincial and municipal agencies. 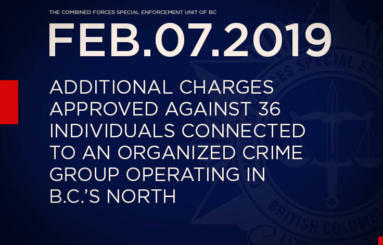 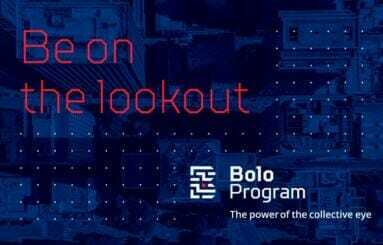 This integrated approach enhances intelligence sharing, coordination and strategic deployment against threats of violence posed by organized crime groups and gangs in our province. 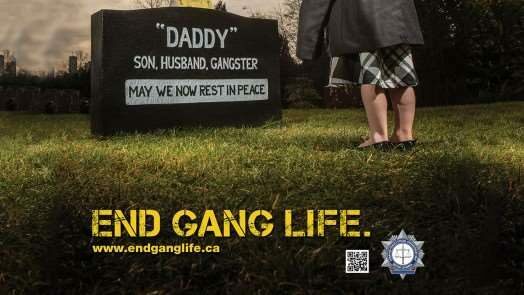 End Gang Life was created to be an emotional and visually impactful anti-gang campaign that uses engaging and powerful imagery and language that speaks to people and will hopefully give youth a fresh perspective on what gangs really are, give communities a rallying point around which they can mobilize against gangs in their neighbourhoods, and make gangsters pause and have a second thought about their life choices.